As the total gun ban has implemented, authorities arrested incumbent Pasuquin, Ilocos Norte Mayor Ferdinand Aguinaldo and two of his relatives confiscating several firearms and ammunition. Police Regional Office 1 Director Chief Supt. 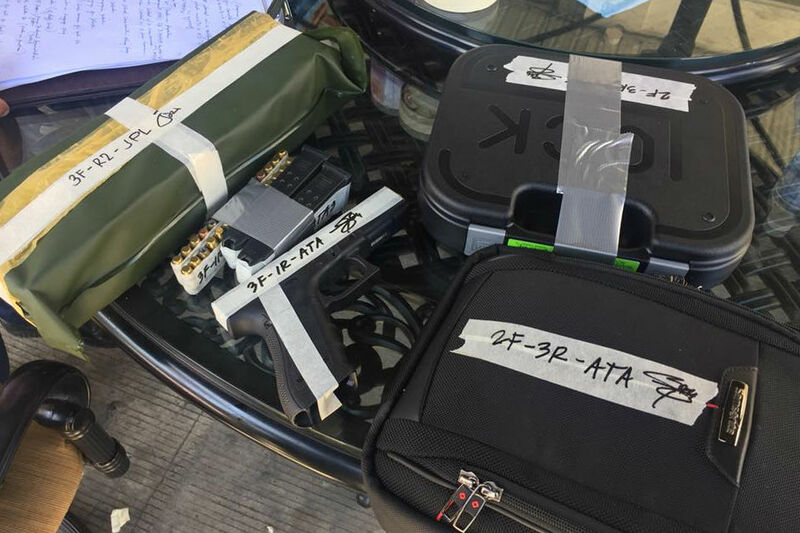 Romulo Sapitula confirmed that due to the search warrant issued to the mayor, his brother former mayor Felix Aguinaldo, and cousin Vice Mayor Pedro Rex Aguinaldo, they were able to seized high grade firearms and ammunition. Authorities recovered from the mayor's house 2 caliber .40 pistols, a caliber .45 gun, assorted ammunition, magazines and 2 bandoliers, at the vice mayor's house yielded a caliber .45 pistol and various ammunition and at the former mayor's house, meanwhile, police found several firearms and ammunition, all of which had papers.